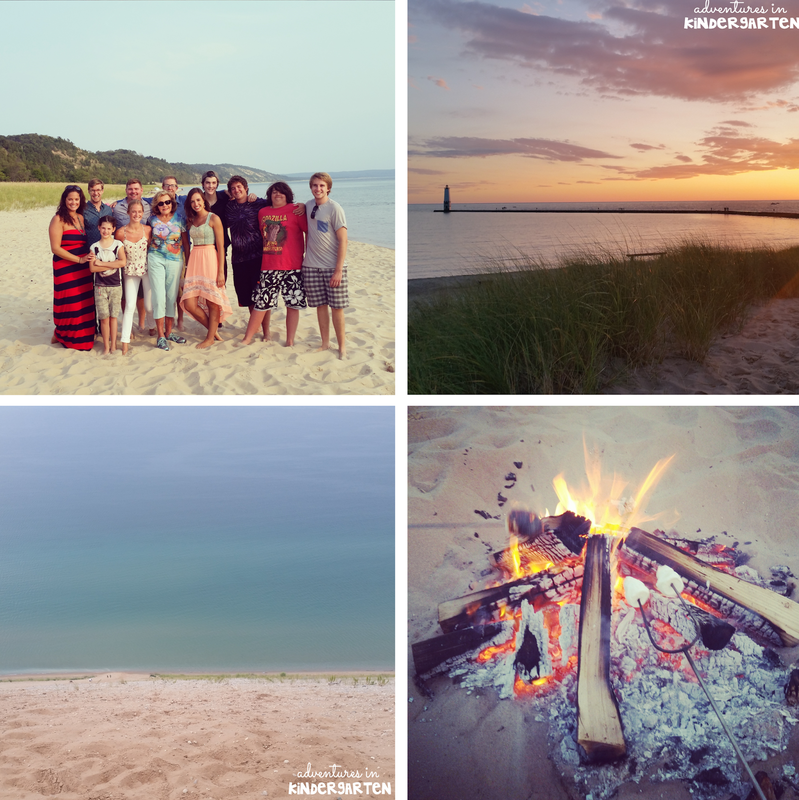 We spent the last week in beautiful Northern Michigan for my annual family reunion and my grandfather's memorial service. It was SO wonderful to be with my family, but I am secretly thrilled to be home. It means that I can finally crank into full gear on heading back to school! I know that other parts of the country have already gone back, but in these parts teachers report the day after Labor Day. In my district, kindergarten doesn't start until the following Monday. I don't know about you, but I LOVE to to teach, and I LOVE to shop (especially when there is a good deal involved). Every August, two of my favorite pastimes combine into one of my favorite times of the year: back to school shopping season! So without further ado, here are a few of my favorite finds. Who doesn't love birthday swag? 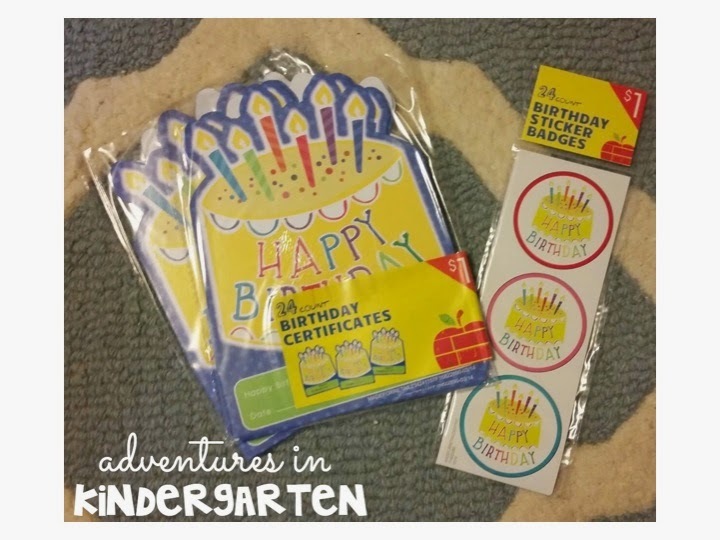 These certificates and stickers were $1 each in the Target Dollar Spot. These 12 packs just make my little teacher heart happy! 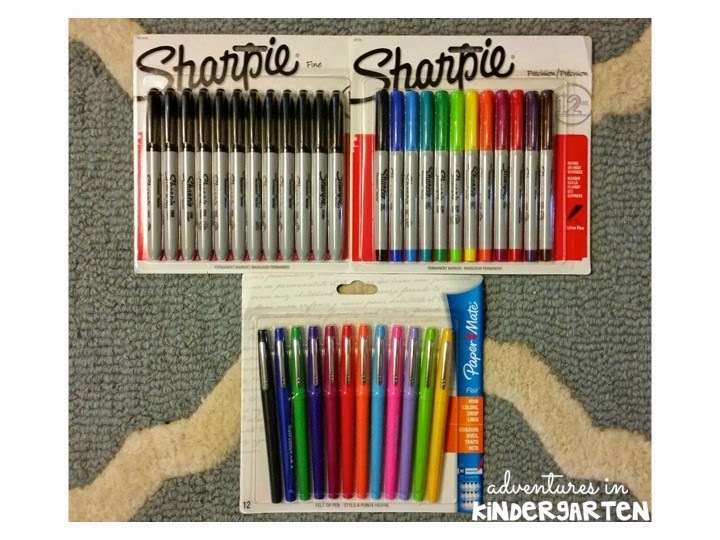 I dare you to find one teacher who is not obsessed with Sharpies and Flair pens. The Sharpies were $5 each at Target and the Flair pens were a bit of a splurge at $12 from Staples. 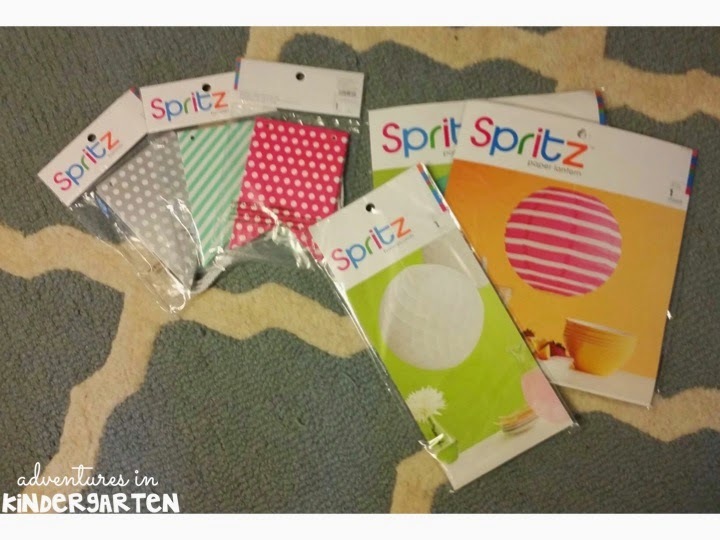 I made myself feel a little better after comparison shopping at Amazon and Target, plus reminding myself that my last 12 pack lasted me all of last year. And Crayolas! Be still my little heart. The thin and thick markers were only 97¢ each at Staples! They have a limit of three per customer, so I have swung by a few separate times. I may even drag my poor husband along next time wink wink. I grabbed the crayons today for 25¢ each. 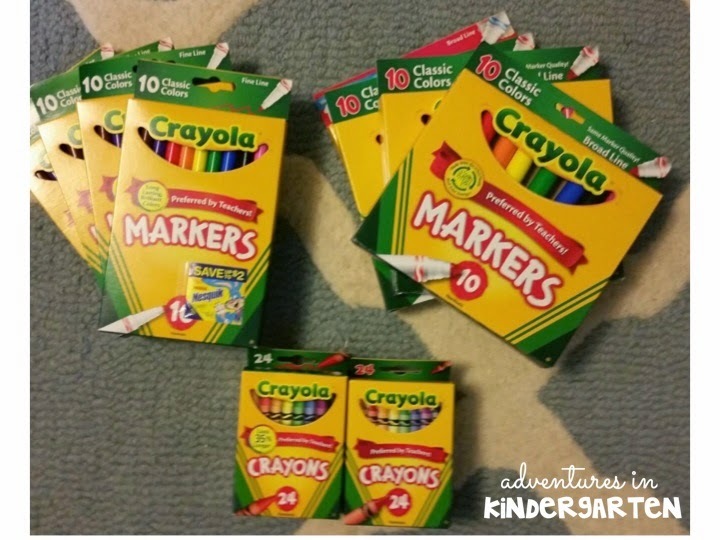 I always stock up on these so I can send a pack home with my littles who do not have any, use them for prizes or make art kits as gifts for the special little ones in my life. I always do a big fire safety unit in October. 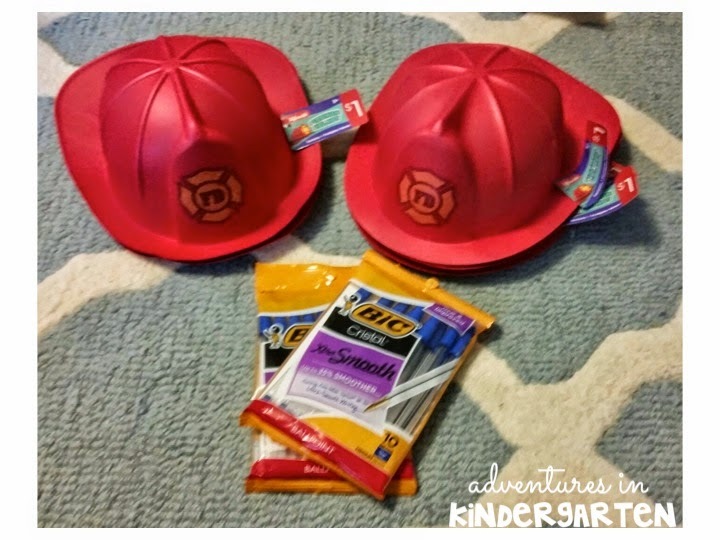 You can check out THIS blog post to snag a freebie and read more about how I teach fire safety. These hats were $1 in the Target Dollar Spot and will be adorable when we convert dramatic play into a fire station! The Bic pens were $1 per pack, with a coupon for $1 back (so $1 for pens). Twistable crayons are a must for me. They are definitely more expensive than regular crayons, but last so much longer. I also like to be able to give the kids a variety of materials so that they are more engaged at the writing center. 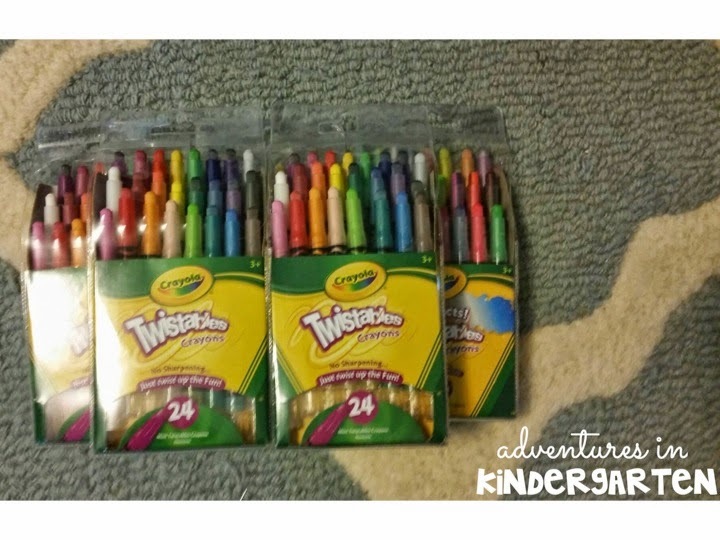 These were on sale at Target for $2.25 each, plus I had a coupon for $2 off of Crayola products. 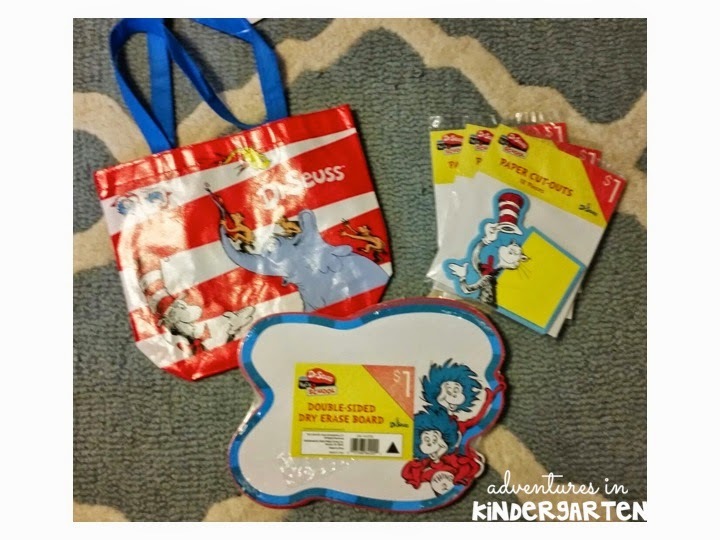 Dr. Seuss swag is in full force in the Target Dollar Spot! 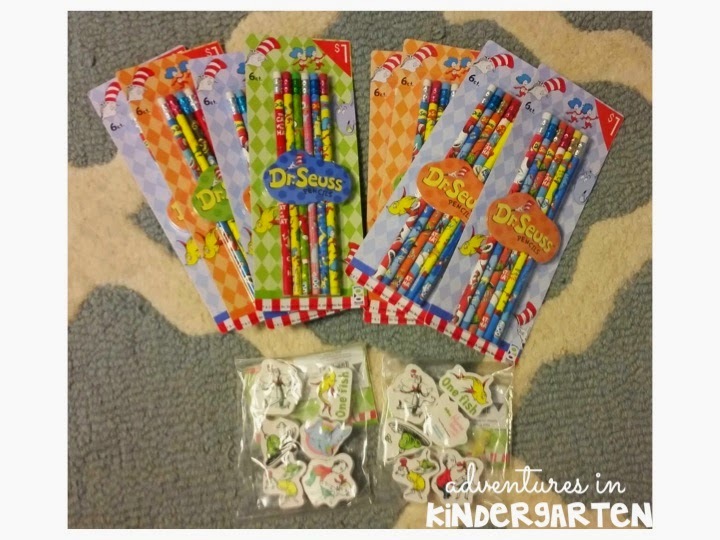 I stocked up on pencils and erasers to hand out during Seuss week, and also to stock up my prize box. These are all $1 per six pack. Reusable bags, cut outs and dry erase boards are all $1 as well. I can't wait to use the white boards as a word work center, stored right inside the bag. I'm not sure what I will do with the cut outs yet, but I'm sure I'll figure it out! All of these adorable decorations were in the party section at Target. The banners were $4 per pack and not on sale, but I couldn't help myself! The lanterns were $2.50 and $3 each. I would LOVE to know what your favorite back to school deals have been so far this year!